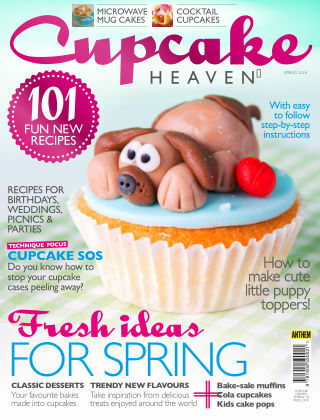 With Readly you can read Cupcake Heaven and thousands of other magazines on your tablet and smartphone. Get access to all with just one subscription. New releases and back issues – all included. Packed with 101 recipes for birthdays, weddings, picnics and parties, we’ve got plenty of tasty treats to tempt you. So pop on your apron as we transform your favourite classic desserts like sticky toffee pudding, key lime pie and English trifle into delicious cupcakes, show you step-by-step how to make the cutest teddy bear cake pops that kids will love, plus we share super easy microwave mug cake recipes that you can make in minutes. Don’t miss our expert guide to cupcakes too, where we solve your most common questions to help you get perfectly baked cupcakes every single time!